Direct and long term impacts of climate change on tree development: consequences for forest health, productivity and mortality. Financed by FRQNT France-Québec, CFQCU (PI Munson, M Vennetier et F Buissard - IRSTEA, Aix en Provence; S Delagrange - UQO; et F Girard - U Montréal). 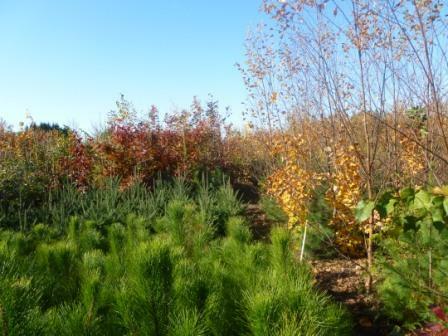 Landscape value: a new input for forest management planning. Financed by FRQNT Fond Forestier (Partners for innovation program). 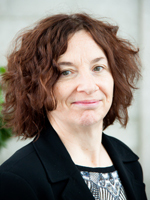 (Nancy Gélinas PI, D Arseneault -UQAR, Y Boucher- MRN, S Déry - ULaval, J He - Sherbrooke, Munson, S Uhde - Institut de la Statistique Québec). Recruitment of a postdoc in spatial modelling. 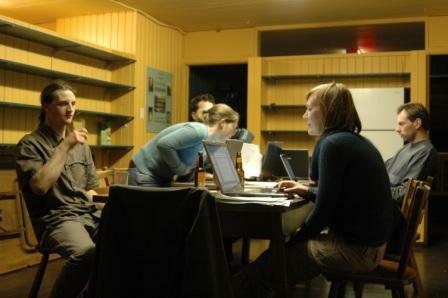 Working group on Ecosystem Services. Financed by Quebec Centre for Biodiversity Science. Directed by Paul Thomassin, McGill University. Exploring the black box: Coupling above- and belowground plant traits to understand disturbance effects on soil carbon storage in a temperate plantation. Financed by NSERC Discovery (Individual project). 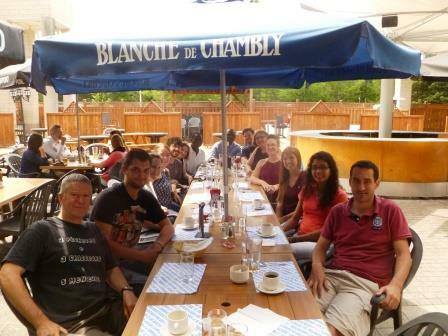 Rim Khlifa candidat PhD; Vincent Poirier, stagiaire postdoctoral. IDENT: Theoretical and practical significance of tree species and functional diversity in designing novel forest ecosystems. 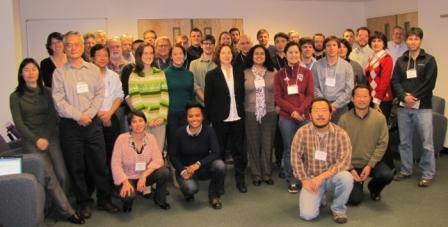 Financed by NSERC Collaborative Research program (Christian Messier, Gravel, Munson, Shipley. Rim Khlifa candidat PhD. 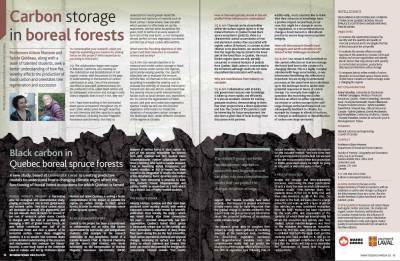 Adaptation of Canada’s forest industry to the context of climate change. Funded by the Network of Centres of Excellence in Sustainable Forest Management (Mark Johnston PI) Synthesis report published 2010. Munson, A.D. et Boiffin, J. 2014. Reslience of boreal species in a shifting disturbance regime. 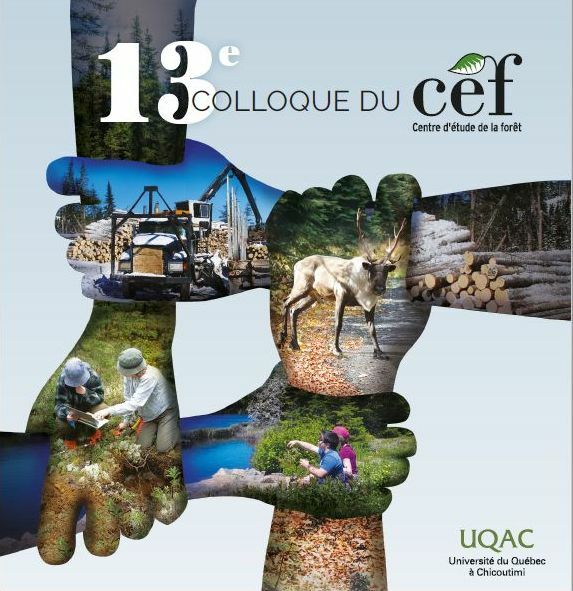 Invited conference, Semaine des sciences forestières, Colloque Kruger, le 29 janvier. Munson, A.D. 2013. 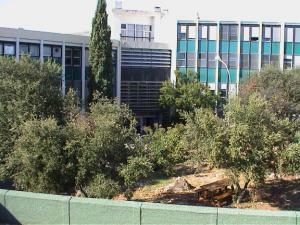 Three green cities: increasing ecosystem services of urban forests. Invited conference, Forum de réflexion sur la recherche en développement durable, Fonds du recherche du Québec. le 2 juin, Chateau Frontenac, Québec. Munson, A.D. 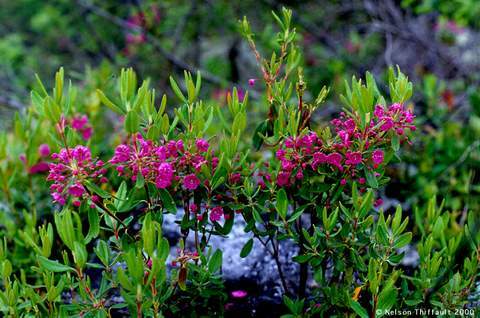 Restoration of natural capital in Charlevoix and Bas-Saguenay regions: an approach based on ecosystem services. 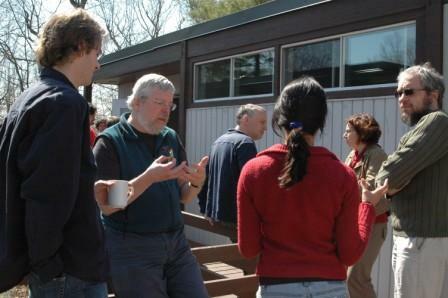 Invited conference, Forum of the Institut en environnement développement et société and the Quebec Center for Biodiversity Science (QCBS), Biodiversity and sustainable development, at ACFAS, Quebec, May 8, 2013. Munson, A.D., Maillard, E. and Paré. D. 2012. 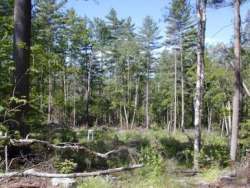 Dynamics of soil carbon, nitrogen and microbial biomass during 20 yrs of succession towards deciduous or conifer canopy in sub-boreal plantations. 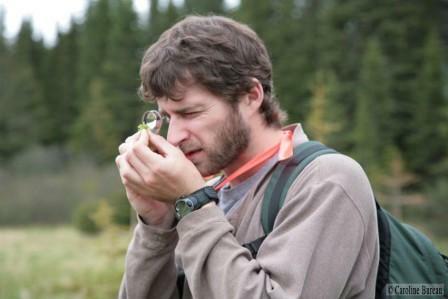 Symposium 10.03: Tree species influence on forest soils. Eurosoil 2012, July 1-5, Bari, Italy. Bahn, M. et al. 2012. Organization and participation in symposium BG2.15 Biotic interactions and biogeochemical processes, European Geophysical Union, April 22-27, Vienna. Co-convenors: M. Bahn, R. Bardgett, C. Preston, S. Quideau, M.Reichstein. Munson, A.D. 2012. 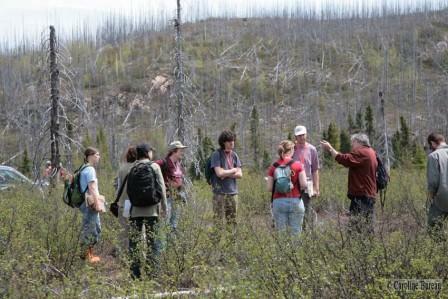 Participation and presentation of Project C*FIRE: Measuring and modelling carbon storage in black spruce ecosystems of Quebec under varying fire regimes, at the NSF Centre NIMBios Investigative workshop: Disturbance Regimes and Climate-Carbon Feedback, Knoxville, Tennessee, February 12-15. Munson, A.D. 2011. Temporal dynamics of C and N cycles after disturbance: a short story of a long term study. Invited conference, Université de Sherbrooke, January 14, 2011. 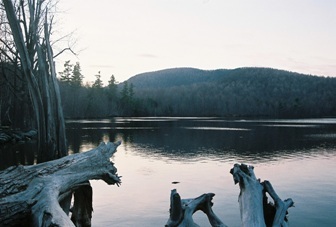 Munson, A.D. 2010. Aménagement écosystémique: paradigme du futur ou du passé? Atelier international de formation sur la thème : Nouer les liens entre l’écoagriculture, l’écoforesterie, la biodiversité et les changements climatiques dans le bassin du Congo. Libreville, Gabon. 4-7 janvier. WHO AM I? WHAT DO I DO FOR FUN? I grew into ecology by spending my entire childhood outdoors without anyone looking after me. My clan of three brothers and I roamed uncontrolled into streams, forests, hedges, barns and whatever got in our way. On his day off, my father took us hiking, for a change, or got us lost on county backroads with grass growing up the middle. I recommend these methods highly to instil a love of nature. 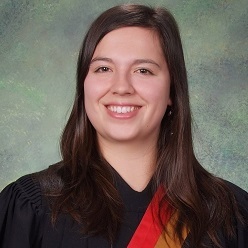 After deciding I couldn’t save whales because I hated dissection (maybe wrong but too late now), I did my undergrad work at Guelph University in Natural Resources Management, specializing in soil science (with the best soils guys in the world). Then I worked in forest soil inventory and forest ecosystem classification in northern Ontario for five summers at least, building up immunity to black flies and graduating to crew leader and soils inventory teacher. Realizing I was more ambitious than this, I went back to school at University of Toronto, spending another four years with black flies and clay soil, but much more knowledgeable for it. 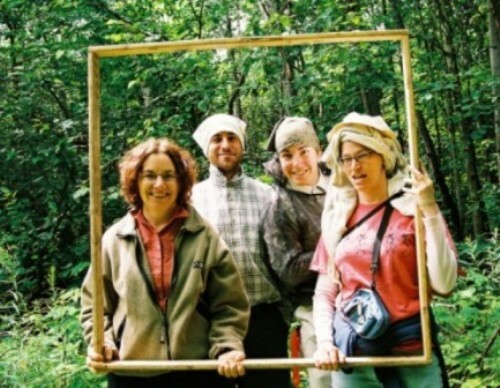 This was followed by a postdoctoral fellowship at Université Laval; during these two years I fell in love with a white pine plantation, where I am still working 20 years later, and learned to speak French. But I have not left the black spruce of my PhD behind and can still be found in boreal forests across Québec and Ontario with my grad students, trying to figure out how these ‘simple’ systems work. I am mainly focused on biogeochemistry of forest ecosystems, but ever a generalist, have interests that range from this central focus of my work. I am interested in how natural and anthropogenic (harvest, silviculture) disturbances affect ecosystem function, and use different tools to evaluate changes: modelling with my modeller friends, geostatistics, and even traditional statistical methods. I try hard to follow different forests in the long term; I have learned much by going back to the same site every year for 20 years, and the same black spruce forests for the same length of time. I respect modelling but love the field. More recently I have succumbed to climate change work, rather alarmed by our future prospects; this has led to an obsession with carbon sequestration mechanisms in forest soils.